I started with about 4.5 pounds of satsuma tangerines, 1 immense grapefruit and 3 lemons. 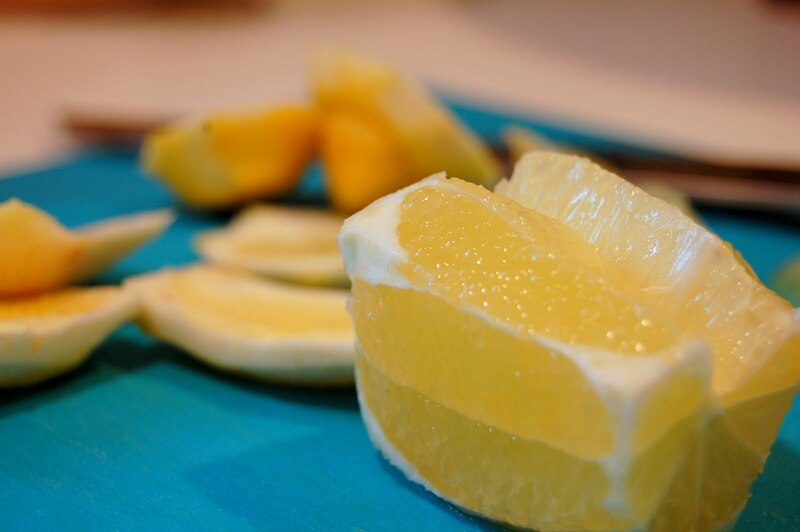 To begin, use a peeler to remove the zest-y layer from all of the citrus. For my tangerines, the skin was very thin and did not lend itself to being peeled. So I just peeled the entire thing and used it all. Once peeled, finely slice all of the zest-y bits. Next take all the zest and throw it in a non-reactive (stainless is an easy way to go, le creuset if you are fancy:) along with 7 cups of water. Bring to a boil and then simmer for about a half an hour, or until the zest is tender. 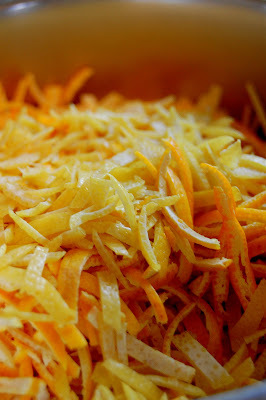 While that is happening take all the fruit (from which you have stolen the zest) and slice off the remaining peels. Then proceed to "supreme" your citrus - slice out the meat and leave the membrane and pith (set all of this aside and reserve for later use). I did this for the lemons and the grapefruit. For the tangerines, I recommend breaking down some of them and getting about 1.5 - 2 cups worth of fruit (I took a couple of the fatter sections out and then set aside what was left). With all of the remaining tangerine (and you could just do this with all of them from the beginning and forget the meat) I juiced them and once again reserved the membranes for later. By this time your zest should be done boiling. Turn off the heat and drain the zest, reserving the cooking liquid. Tie all of the reserved pith and membranes in a cheesecloth bundle. 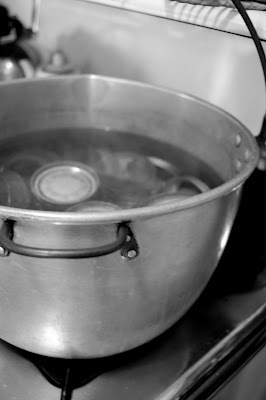 While the marmalade is cooking, place all of your jars (recipe fills about 10 12-ounce jars), rings and lids in a large pot. 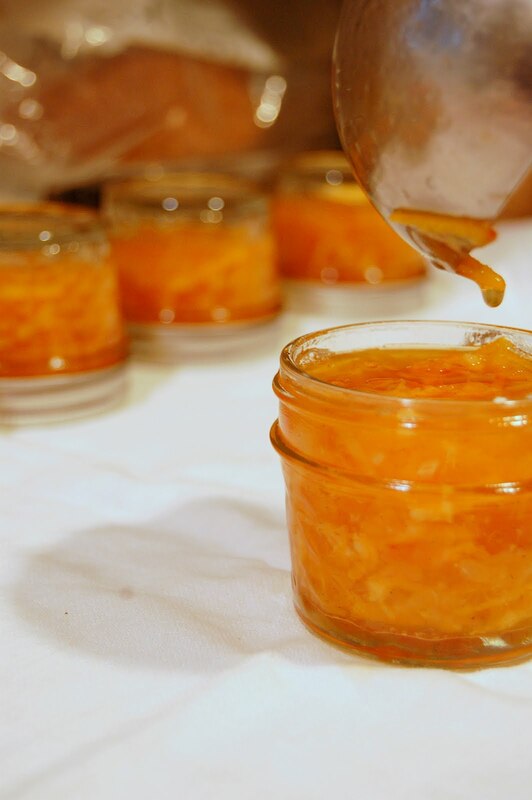 Your marmalade should set up without the addition of any additional pectin (based on the natural pectin in the citrus) if however, you have problems I found that you can add 1/2 a packet of pectin (1.5 ounces) and then simmer for an additional 15 or 20 minutes. Finally, your jam is complete and all you have to do is can it! Remove the rings and lids from the pot of boiling water and place on a clean dish towel. 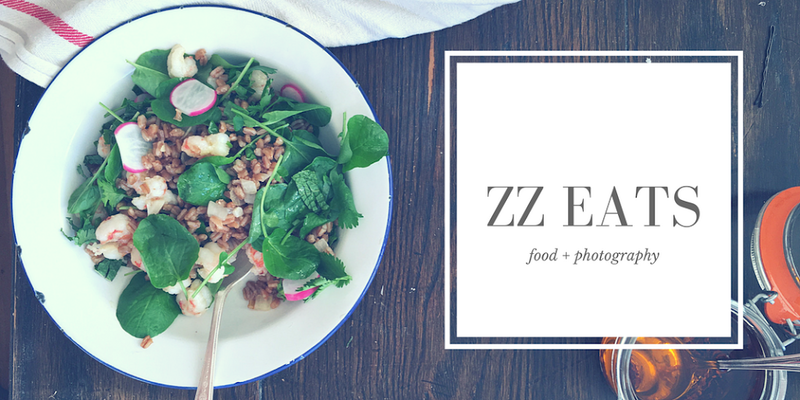 Take out the cheesecloth bundle and discard. 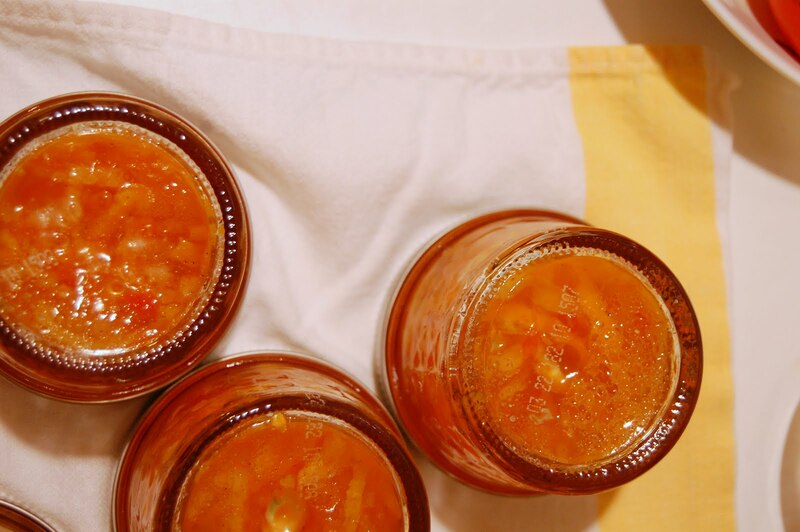 Remove a jar from the pot and ladle (or use a wide mouth funnel) in some marmalade until the jar is full, leaving 1/4-inch space at the top of each jar. 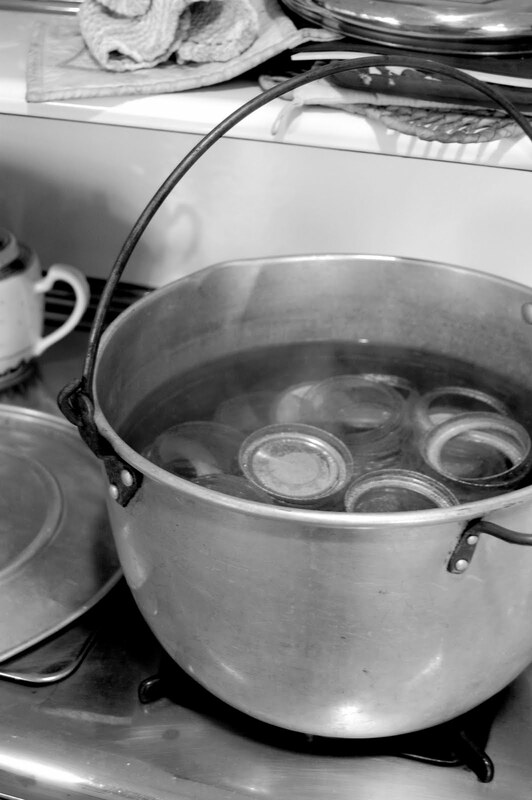 Quickly, using tongs, place a lid tightly on the jar and flip upside down. 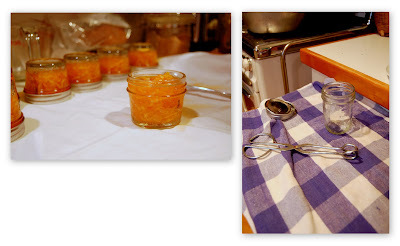 Repeat until you are out of marmalade. Leave all of the jars upside down until they have cooled to room temperature. Beautiful! Love the old pot on the old stove. nice touch. The marmalade is DELICIOUS.